Love them or loathe them, most retailers have a strapline. 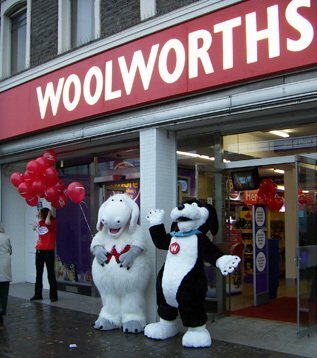 For many years Woolworth stuck with "Nothing Over Sixpence", later replaced with "everybody's everyday store" and "right up your street"
In 2003, after big changes at the top and the decision to focus on ranges for children and their mums, Executives decided to select a new advertising agency, inviting the biggest and best to pitch for the account. The winning bid was radical. The proposed new strapline was "let's have some fun" and, as if to emphasize the point, the carrier bags would feature jokes and the brand would be advertised by two cuddly characters who it was thought would have high child appeal. 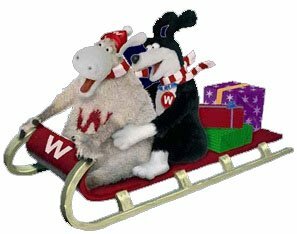 A sheep called Wooly and a sheepdog called Worth would play the fool and lark about to encourage shoppers to visit the stores and website. For members of the Woolworth Family - who had not had a link to the brand for many years - this seemed like a sad corruption of a very famous name, with older customers also struggling to understand the logic. 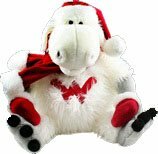 But many kids loved the characters, and used pester-power not alone to be taken to the stores, but also to get Wooly and Worth cuddly toys, hot water bottles, pyjama cases and key rings. It seemed the campaign had hit the target, winning high audience recall even when the advertisements only played in the cinema and on minority channels, thanks to the power of social media and word-of-mouth, and a few spoofs along the way. This page tells the story of the two characters who were so awful they were great. In Summer 2002, the Woolworths Marketing Director went on maternity leave. The CEO decided to handle the portfolio personally. Trevor Bish-Jones had been critical of the "don't forget what you went in for" ad series. 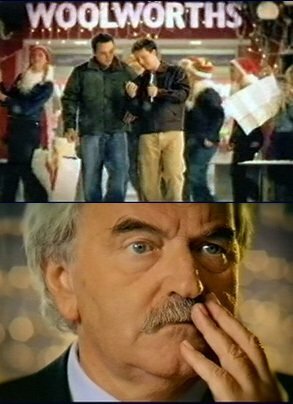 Customer panels had revealed that people remembered Des Lynam's moustache, not what he was advertising! The CEO sought someone to become 'the face of the brand', and chose the comedian Paul Kay. The new campaign, which aimed to highlight price competitiveness with a strong product focus, soon became memorable for all the wrong reasons. Off-guard remarks by the star Paul Kay received widespread media coverage, meaning his debut was also his final encore. Audience research showed that the commercial had lacked the 'magic' customers expected from Woolies advertising, in any event. As a result, after years of faithful service, the agency Bates Dorland was replaced by BBH, Bartle, Bogle, Hegarty. A new Marketing Director Stephen Robertson, who had joined from B&Q, liked BBH's pitch of two characters, a daft sheep and a hapless dog. They drew on a much loved, though controversial, Bates Dorland character Keith the Alien from 1997. Some executives raised they eyebrows, but the characters quickly proved to be a big hit with the target audience, small children and their mums. 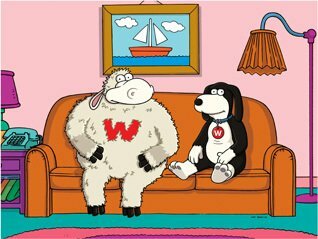 Wooly and Worth first appeared in Summer 2003 and became a regular feature on TV screens. 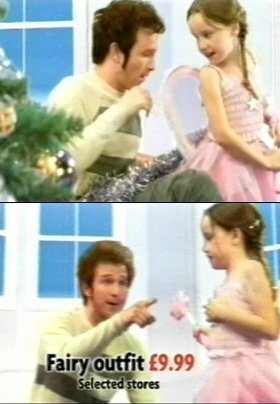 When Wooly and Worth tackled the fairy theme again, it was altogether different from the approach fronted by Paul Kay. Worth was compère for an extravaganza of fun, singing the 'Winter Wonderland' song that the firm had made its own the 1990s. As the sheepdog sang, his nemesis, Wooly, waved a magic wand to reveal some of the gifts that were available at three for the price of two. With classic puns like Wooly's 'you're snow fun' and a cheeky wink to the dancers and a 'ring ding ding' worthy of a Carry On film from Worth, the campaign became the best-remembered of the season. Besides appearing on TV, Wooly and Worth also spawned a range of their own. 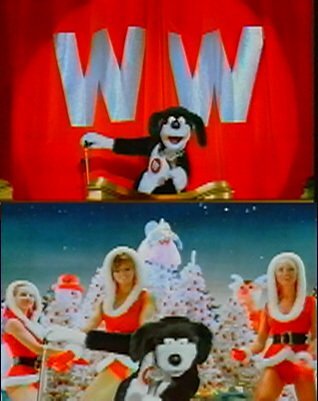 Following requests from the public, the soundtrack of the Winter Wonderland ad was released by 2|Entertain on a compilation CD of the same name. You can play it by clicking the control below. The soundtrack is taken from Crimson's CD 'Winter Wonderland', CRIMPCD005. As your browser doesn't support HTML5 playback, we're using Adobe Flash. Press play to begin. 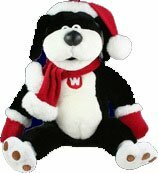 Wooly and Worth also made regular appearances in-store. 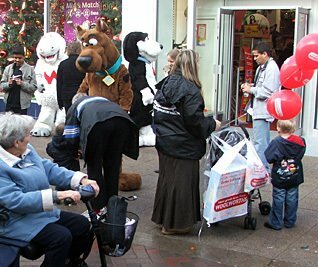 The lovable characters proved a big hit, particularly with small children, opening many of the 200 stores that were refurbished between 2002 and 2008. The inventors of the costumes never had to wear them.. For the poor actors and store staff assigned to 'Wooly and Worth duty' the temperature inside the fur suits soon rose to over a hundred degrees. Limited visibility inside the outfit meant that they had to be chaparoned to avoid squashing the very children they were supposed to be entertaining! The staff at the Kingston-upon-Thames store worked several late nights as a camera crew from BBH tried to film a scene for one of the commercials. The script called for Wooly to pick up a 'Love Actually' DVD. This proved quite hard with cotton reels for fingers. In the end the store's haberdashery counter rescued the situation, as Velcro was applied both to Wooly's fingers and the DVD! 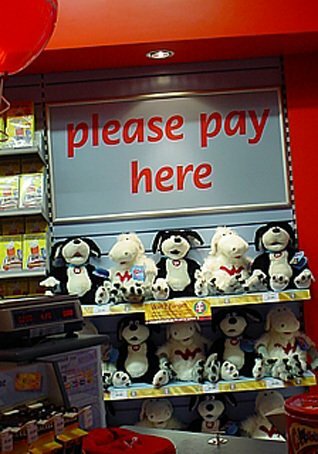 Wooly and Worth plush toys proved very popular with the public. Between 2004 and 2008 the chain stocked no less than six different models of the pair. As well as the original model (left, on sale in a new store at Harlow, Essex in 2004), they appeared as hot water bottles (an idea that some parents later reported was 'a bit wet'), in keyring size for charity Kids First, a miniature size for competition prizes, as glove puppets, also commissioned by Kids First, and dressed in hats and gloves for the winter (above and below). 2007 saw a new direction for the Wooly and Worth. The pair had a series of celebrity encounters. In each commercial the situation required a trip to Woolies for an emergency 'WorthIt!' purchase. There were memorable ads featuring Stars Wars characters including a great Darth Vader, but the legendary Jackie Chan stole the show. It is a great credit to BBH and the in-house Marketing Team led by Tony Holdway, that they achieved very high recognition of Wooly and Worth, despite a very limited television advertising budget. The witty campaign was cleverly targeted, on minority channels and at the cinema, to reach the target audience. Hot on the heels of competing with big-name cuddly stars like Scooby Doo at the Midland Road, Bedford store (pictured above), Wooly and Worth got the Simpsons treatment courtesy of the legenday animator Matt Groening. To date Woolworths is the only 'real' company to get such an honour from the man who brought the Kwicky Mart to our screens. The firm's market-leading sales of character brands led to the exclusive deal, allowing Wooly and Worth to promote 'The Simpsons Movie' with a unique commercial. But - as is the way for many stars of stage and screen - just as Wooly and Worth were at the top of their game, the credit crunch struck. At the moment the two are 'resting' and hoping for a call - any call!. Perhaps they have put away their microphones for forever (though they will live on in toy boxes up and down and the country), or maybe, just maybe, one day someone will bring them back on the Internet. Oh ... and if you came to this page hoping to the see the ads, you'd better click here!